I was very thankful that I made all of my meals ahead of time last week. Our schedule was so busy that if I hadn't, we would have been eating out - yuck! The only meal I didn't get to was Saturday's sausage and cheese turnovers. We ended up needing to finish off the leftovers from other meals. I'll have to try them again on a week when we aren't so busy. 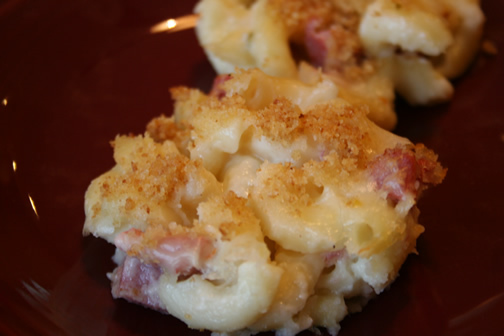 The hits of the week were the Pepper Jack Mac Cups (next time I'll just make it as a casserole - the "cups" were kind of a pain, even if they were cute) and the BBQ Beef and Bean Cornbread Casserole. Fall is simply busy at our house with cross country and band. So, I went ahead and did all of my cooking for the week ahead of time again. I feel so much relief when I spend a couple of hours on Sunday getting everything prepared for the week. Now I know that my family will eat pretty well. We only have a couple of days where we just won't be around to eat dinner at home. I have a couple of great new recipes this week as well as some well-loved standards. The boys are pretty happy with the menu. :) For more menu ideas, see orgjunkie.com. Enjoy! This weekend Eric and I had some free time together while we were waiting for Corey to finish math practice at MSU. We decided to head to downtown Springfield for lunch, and then headed out to see what was new in the downtown area. My love for everything chocolate quickly brought us to a chocolate factory! Can you believe it? A chocolate factory right in downtown Springfield! 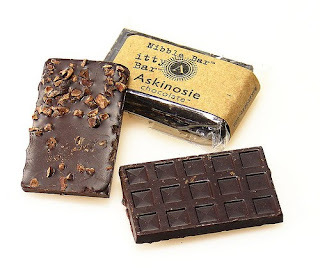 If you haven't visited Askinosie Chocolate on Commercial Street, pop in sometime. They have fabulous dark chocolate, and they host tours of the factory for the public on Tuesday afternoons. They will also do tours at other times if you call ahead to make arrangements. For all of my boy scout and girl scout leader friends, you need to do this with your kids. Check out more info at their website at http://www.askinosie.com/. Break 1 cookie into 4 pieces; reserve for garnish. Crush remaining cookies. Beat pudding mix and milk with whisk 2 min. Stir in crushed cookies and 1/2 cup Cool Whip. 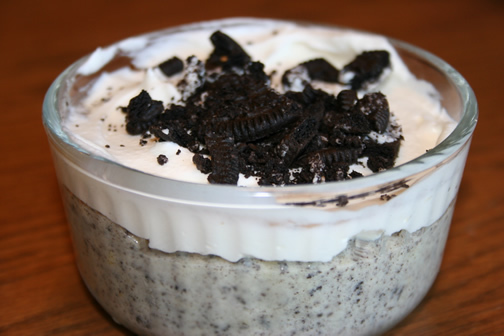 Spoon into 4 dessert dishes; top with remaining cool whip and reserved cookie pieces. 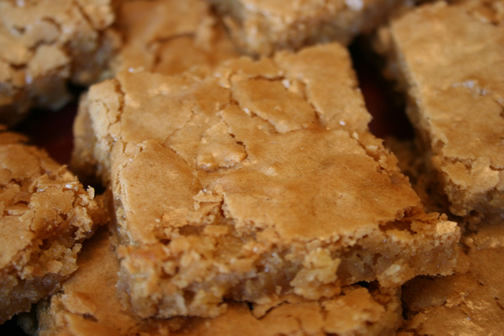 These are simple to make and taste great. I did not put the breadcrumbs and butter on top, and they still looked good and tasted wonderful. I made a double batch and froze the second part of them. 1. Heat oven to 375°F. Line cookie sheet with parchment paper, or spray with no-stick cooking spray. Separate dough into 5 biscuits. Split each biscuit to make 10 rounds. Press out each biscuit half to form 3-inch round. 2. Sprinkle each biscuit round with cheese to within 1/2 inch of edge. Top each with meatball. Bring up sides of dough over meatball; pinch edges to seal. Brush rounded tops and sides of dough with butter; coat with croutons. Place, seam side down, on cookie sheet. 3. Bake 10 to 15 minutes or until golden brown. 4. Place appetizer pick in each biscuit-wrapped meatball to form meatball pop. Serve with warm pasta sauce for dipping. Preheat oven to 400. 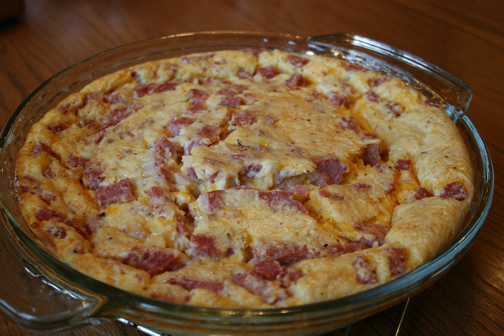 Combine turkey, bacon and cheese in a pie plate. Combine Bisquick, milk and eggs; pour on top of other ingredients already in pie plate. Bake 30-35 minutes, I like to top mine with sliced tomato and sliced red onion for the last 15 minutes of the bake time. This is one of my family's favorite soups. It is hearty and very tasty. I chop the carrot and celery very fine so that even my non-veggie eating son enjoys this one. combine the potatoes, corn, broth, celery, carrot and seasonings. Bring to a boil. Reduce heat; cover and simmer for 15 minutes or until vegetables are tender. cheese is melted and soup is heated through. Makes 10 1 cup servings. Last week's menu of all new items went pretty well except for one night. We ended up not liking the Honey Lime Enchiladas. The sweet and spicy combination just didn't work for us. I was nervous about trying the Afghan recipes on my book club girls, but the recipes all turned out very well. The Drunken Jerk Chicken was probably the hit of the week. This week is going to be a busy one for us as it is homecoming week at Corey's school, he has a cross country meet (and we are hosting the whole team at our house for dinner), and I have parent night at my school. So, I had to pick menu items that I could cook ahead today and have ready to heat up throughout the week. 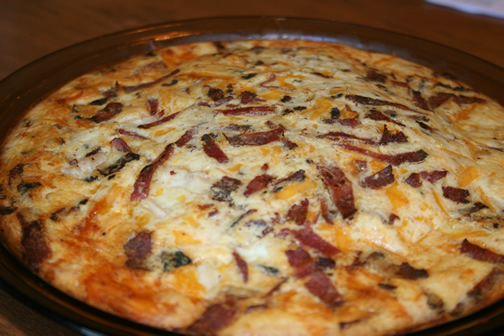 I also cooked a crustless quiche that we can heat up for breakfasts. Here's this week's menu. For more menu ideas go to orgjunkie.com. Enjoy, and have a great week! Mix eggs, Bisquick, milk, salt and pepper in large bowl with whisk until mixed well . Add remaining ingredients and stir well. Pour into 9 inch greased fluted pie pan. Bake at 350 degrees for 40 minutes. Remove. Let stand 10 minutes before cutting. 1. Dissolve the yeast in warm water in a large bowl. Add the milk, butter pieces, sugar, potato flakes, eggs and salt to the bowl. Stir just to combine. Add three cups of flour and mix well; stirring until smooth. Add as much of the remaining dough as possible until a stiff dough forms. 2. Knead a few times or mix with a dough hook for an additional minute. Cover dough and let rise for 15 minutes. 3. Divide dough in half and roll each half into a circle about 1/2 in. thick or a little less. Cut each circle into evenly-sized wedges, about 16-18 each. Roll the wedges of dough from the wide end to the point. Curve ends slightly and place on a cookie sheet. Cover and let rise one hour. 4. Bake at 350 degrees for 15-18 minutes (rotate the cookie sheets from top rack to lower rack halfway through so that they get evenly brown on top and bottom). 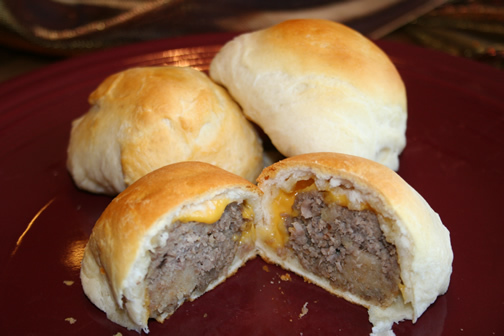 The cooked rolls can be frozen and thawed in a few hours on the counter. Or the rolls can be frozen before the second rising. This recipe uses homemade crescent roll dough. The recipe as given makes enough dough to make about 3 dozen of these turnovers and a dozen crescent rolls. These can be frozen after being baked. To reheat, do not thaw first. Just place desired number of turnovers on a cookie sheet and bake at 350 degrees until heated through. Combine all BBQ sauce ingredients in a small bowl and set aside. Brown ground beef with onions, and salt and pepper to taste. Drain. Combine beans and beef. Add BBQ sauce and stir to coat all. 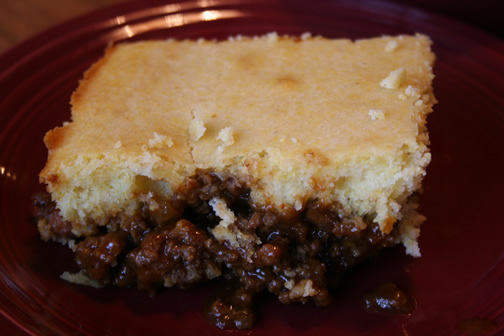 Pour into a 13×9 casserole dish. 1. Combine all dry ingredients. Stir in remaining ingredients until moist. 2. Spoon over beef and bean filling. Bake at 400 degrees for 30-35 minutes. 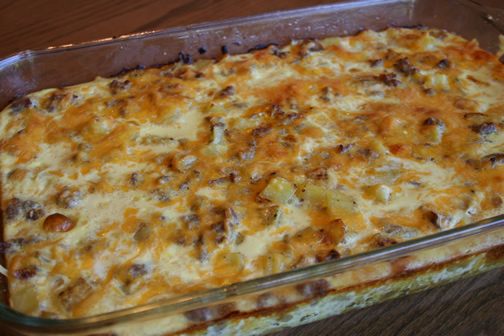 Casserole freezes well once cooked. This week's menu features all new recipes (therefore, no photos yet, so be sure to check back later). I'm trying new chicken enchilada recipe on Monday (cooked the chicken ahead of time today). Later in the week, I'm hosting a book club meeting at my house so a group of my teacher friends will be joining me for dinner. We read The Kite Runner this month, so I thought I would do an Afghan themed meal. I'll let you know how the recipes turn out. Afghan food is definitely a new thing for me. 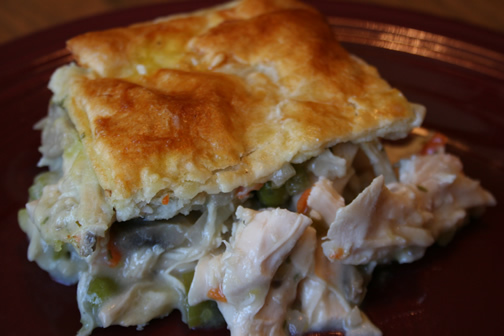 :) Last week's hit recipe was the chicken pot pie. It took a lot to get it ready, but it was worth it. It will be a recipe that I have to save for cooking on the weekends since it's a bit time intensive. It does make a lot of leftovers, which is great for our busy family. Here's this week's menu. 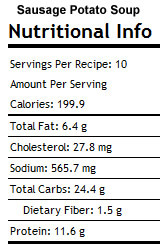 For more menu ideas go to orgjunkie.com. Have a wonderful week! 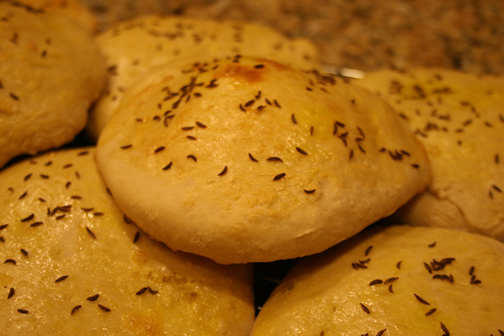 Afghan's traditional bread, similar to India's Naan. Noni is served with most meals and, torn off in pieces, used to scoop up bits of food. Yeast: mix yeast and sugar with 1/2 C warm water. Let stand for 10 minutes until it begins to fizz and froth. Sprinkle top with 1/2 tsp. flour and let stand 5 more minutes. It will rise and froth quickly. Dough: In a large mixing bowl, add flour and salt. Make a well in the center and add oil and yeast mixture. Stir this in, and slowly add remaining water, in small amounts, till you have a soft, moist dough. Knead for 5 minutes and place dough back in bowl, covered with a towel. Set in a warm spot to rise for 1 1/2 hours. Roll dough : Preheat oven to 350. After 1 1/2 hours, punch the dough down and divide it into 8 equal portions. Roll each into a ball, then flatten each ball into 6-7" oval, about 1/2" thick. Brush each piece with egg yolk mixture and sprinkle with seeds. Bake: Place on an ungreased baking sheet and bake 20-25 minutes till golden brown. Serve immediately or cool and serve as you would pita bread. 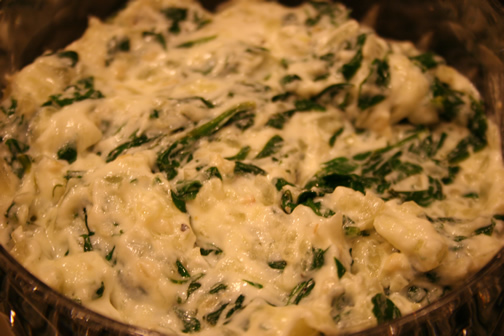 Serve with Spinach & Yogurt Dip or with any other Afghan dish. * Traditionally, black cumin seeds are used, but they may be hard to find. I wasn't so sure about this one while I was making it for my book club meeting, but it actually turned out to be good, especially served on the homemade flatbread. Spinach: Rinse and chop the spinach. Place it still damp in a sauce pan, cover, and cook till just wilted. Drain and squeeze out excess water. In a large skillet, cook onion in oil until soft, add garlic for one minute, then add spinach. Cook for 2 more minutes. Assemble: When cool, combine the spinach with yogurt. Add salt and hot pepper flakes to taste. Turn into a bowl and serve with hot naan (a round flatbread) or toasted pita chips. You can also serve chilled. These were delicious and easy to make. 1. 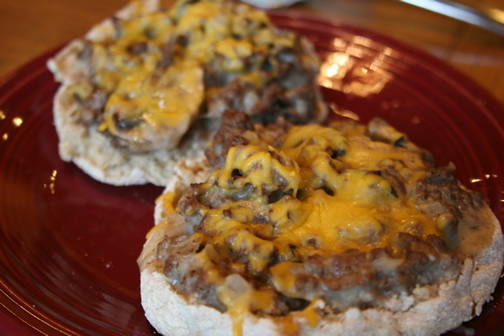 In a large skillet, brown ground beef , onion and optional mushrooms. Season to taste with salt, pepper and garlic powder. Stir in flour and cook for 2 minutes. Stir in beef broth. Bring to a boil and simmer until thickened. Add cream cheese and stir until melted. 2. Split English muffins and place on a baking sheet. Cover each half with some of the stroganoff mixture and top with shredded cheese. Bake at 350 degrees until English muffins are toasty and cheese is melted, about 8-10 minutes. On the first night I made these, I thought I really liked them. The combination of the sweet chicken from the honey and the spicy from the green chile sauce was interesting. My son, however, just couldn't do them. He said that enchiladas just shouldn't be sweet. I brought the leftover ones to school for lunch the next day, and I decided I couldn't do them either. :( The sweet chicken was just too weird for me. Bummer. I really wanted to like them, and I'm sure others might really think they are great. Mix together sauce ingredients then add to shredded chicken. Let the sauce soak into the meat for about 30 minutes. Lightly spray 2 pans with non-stick baking spray. (one 9x13 and one 9x9 but it may vary with how thick you stuff your enchiladas) Pour green enchilada sauce into pans to coat the entire bottom. Fill tortillas with shredded meat and desired amount of cheese. Roll and place in dish. 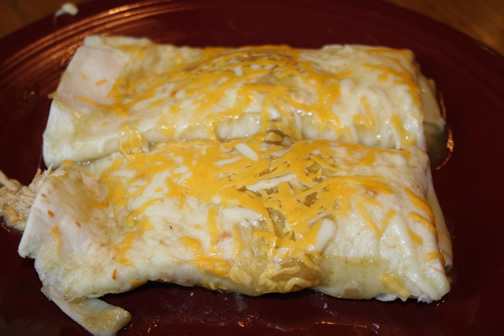 Pour remainder of sauce over enchiladas and sprinkle more cheese on top - don't be stingy! Bake uncovered at 350 degrees for 30 minutes. Then turn on broiler and place enchiladas nearer the top of oven. Let it broil until cheese is slightly brown and crispy. My friend Melissa sent this one to me while she was working on her meal plan last night. This recipe will be helpful on those nights that you really need to rely on your slow cooker because of a busy schedule. Be careful of what kind of buffalo sauce you use - it can be pretty spicy! I put a little blue cheese dressing on mine. Very tasty! the ranch dressing mix. Cover, and cook on Low for 7 to 8 hours. 2. Once the chicken has cooked, add the butter (I'm thinking I might leave that out), and shred the meat finely with two forks. 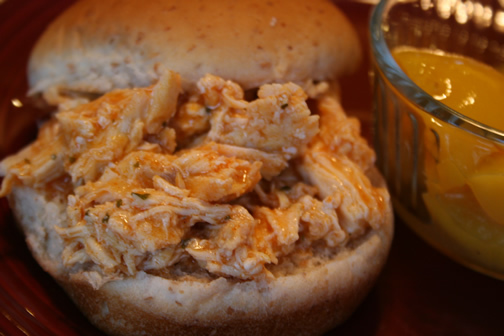 Pile the meat onto the hoagie rolls, and splash with the remaining buffalo wing sauce to serve. This was a very flavorful chicken marinade. I used the leftover chicken on a salad for lunch, and it was fantastic. 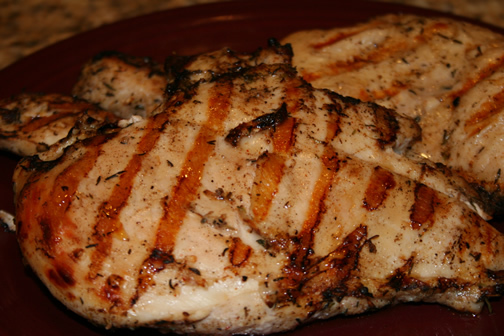 Pound chicken breasts to even thickness and place in gallon plastic bag. To bag, add remaining ingredients, close and toss to combine ingredients well. Place mixture into fridge over night to marinade. Remove chicken from fridge 10 minutes before cooking. Turn grill down to medium heat and place chicken on grill. When chicken has cooked halfway through, about 10 minutes, (when it no longer sticks to the grates), flip and continue cooking until heated through, about 10 additional minutes. Remove chicken from grill and tent with foil. Let rest for 10 minutes, then slice and serve with lime and green onion garnish if desired. This was the best chicken pot pie I have ever eaten. It was kind of time-consuming to make, so it will have to be a weekend recipe, but it was worth it. Because we are a family of three, it made lots of leftovers for the week. Place chicken, whole onion half and bay leaves in a large pot and cover with cold water. Place pot over medium-high heat and bring up to a simmer. Reduce heat to medium and simmer until chicken has cooked through, about 20 minutes. Remove chicken from pot and let cool. Reserve about 1 cup the cooking liquid and then discard the remaining. While chicken cools, place a large Dutch oven over medium-high heat with 2 tablespoons of olive oil. Add chopped onion, mushrooms, carrots,and celery to the pan, season with salt and pepper, and cover. Cook, stirring occasionally, until softened, 7-8 minutes. While the veggies are cooking, remove the chicken breast meat from the bones and shred. When the veggies are tender, scoot them over to the side of the pan and add the butter to the center of the pot. Once butter has melted, add the flour and cook for about a minute. Whisk in white wine, milk, chicken stock and reserved poaching liquid. Bring up to a simmer then add the tarragon, Dijon, peas and shredded chicken. Bring back up to a simmer, season with salt and pepper, and cook until the sauce has thickened, 2-3 minutes. Transfer to a casserole dish and cover with the pastry dough, trimming it as needed to cover the entire surface. Make a few slits in the dough to allow steam to escape, then brush the top with the beaten egg. Bake the pot pie until the filling is bubbling and the crust is golden brown, about 30 minutes. This soup ended up being a bit thicker than I anticipated due to the potatoes. If I make it again, I don't think I will use as many potatoes, and I would add more bacon. 1 Cook bacon on medium heat in a large saucepan until lightly browned and fat is rendered. Use a slotted spoon to remove bacon from the pan. Set on a plate lined with a paper towel. 2 Add the chopped onion to the pot, cook in the bacon fat on medium heat until soft. Add the minced garlic and cook a minute more. Add the chopped peeled potatoes and cook a few minutes more. 3 Add the tomatoes and chicken broth. 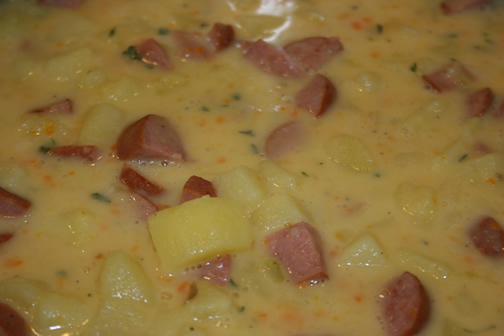 Cook until potatoes are cooked through, about 20 minutes (or longer). 4 Stir in the brown sugar. Add half of the beans to the mixture. 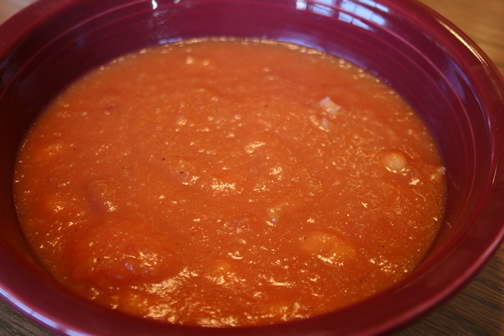 Use an immersion blender to blend about half of the soup mixture (or blend half of the soup in a standing blender and return to the pot). 5 Add bacon to the soup and the rest of the beans. Add salt and pepper to taste. Serves 8-10. Serve with crusty bread.